Azul Diving Center Madeira is a top service SSI and PADI dive center located at Quinta do Lorde Resort – Hotel – Marina in the heart of Ponta de São Lourenço Protected Area on beautiful Madeira Island. Our focus is on custom-tailored dive and snorkel trips, individual training and small, fun groups of people! Enjoy a morning or afternoon dive in our stunning house reef, easily accessible from the beach or our jetty. Our friendly and professional staff ensures your holiday will be a truly memorable one. Come and follow an SSI or PADI course, from beginners to professional levels, with one of our qualified instructors. We provide you with a personal service that will make your Scuba Diving, Freediving or snorkeling course with us your best one yet. 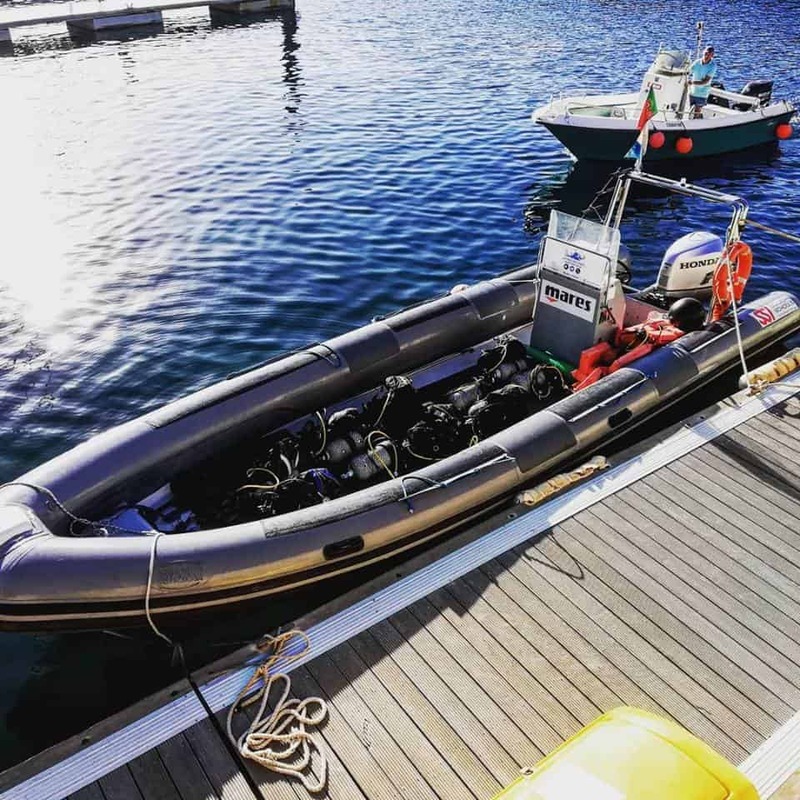 Our boat, a 8.3mt RIB powered with 200hp Honda engine with Eco technology, is docked only steps away from our shop in Quinta do Lorde’s private marina and ready to go diving. We offer everyday house reef and boat dives; SSI and PADI courses are available everyday according to your needs and our instructors’ availability. 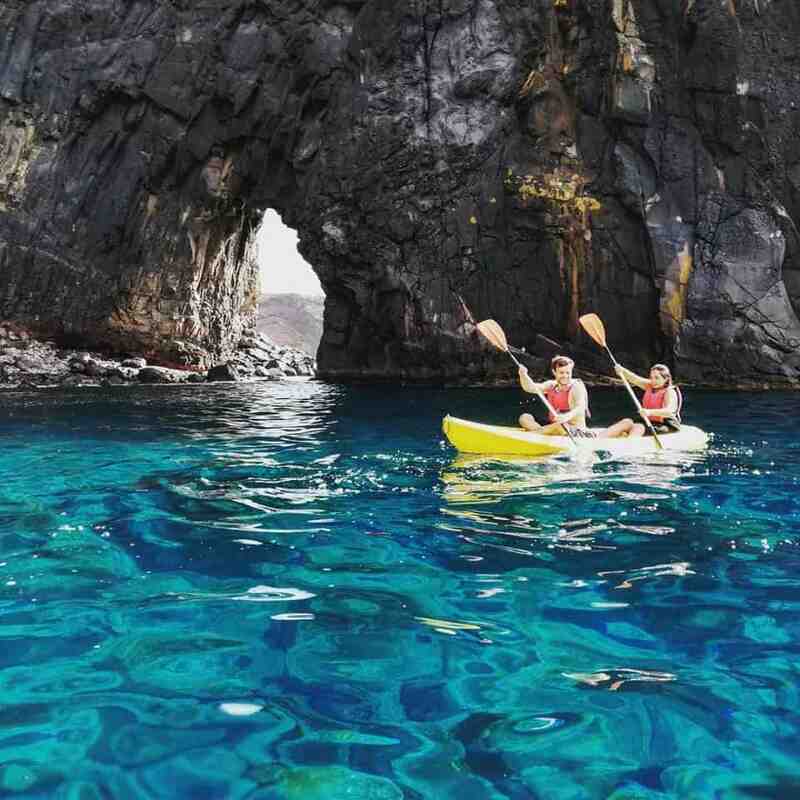 Sea kayaking in Madeira is a fun and original way to explore one of the world’s most beautiful and dramatic coastlines and enjoy the tranquility of nature. Our experienced and knowledgeable guide will lead the way to the marine nature reserve of Ponta de Sao Lourenco. The route follows the curves of the coast to show you its secrets and dazzling landscapes including enchanting bays and marine caves only accessible by boat. The trip will be a mix of exploring, snorkeling, bird watching and paddling with the guide pointing out interesting features of the landscape, flora and marine life as you pass. Your diving center in Madeira!